Sam came to our family at 13 weeks and what a showman! 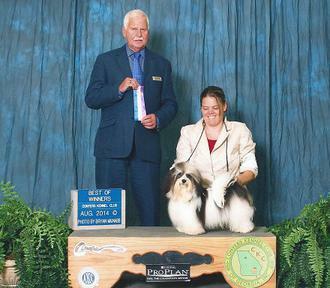 Sam is now an AKC Champion. 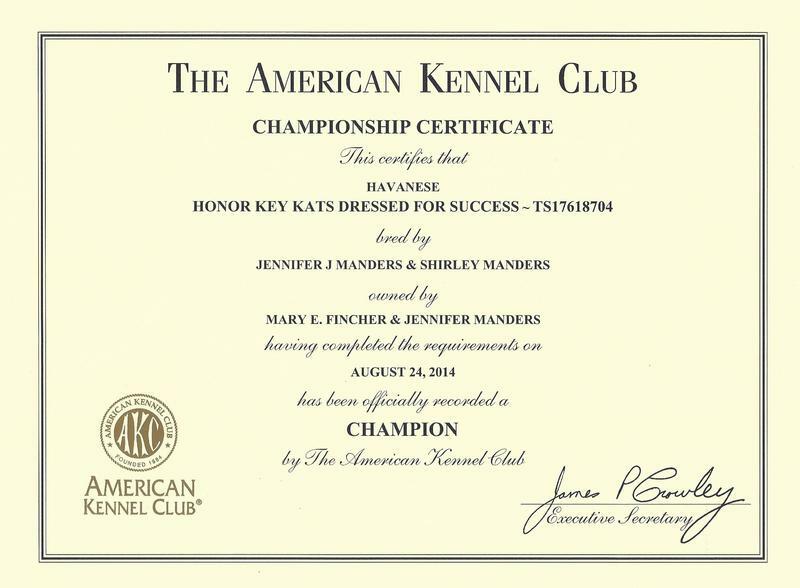 Aside from being a champion he has received his CGC (Canine Good Citizenship) certification from the AKC. 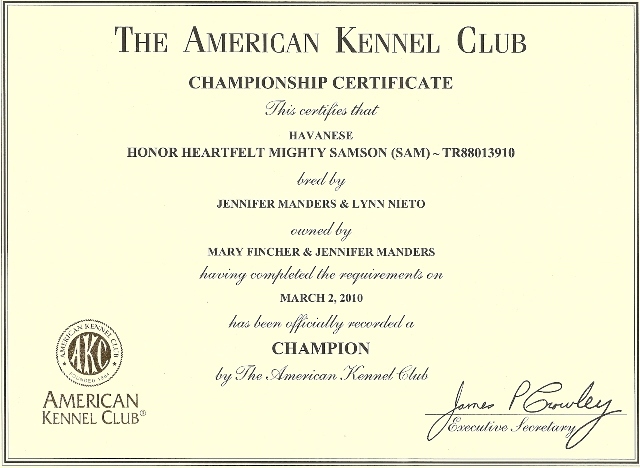 Sam has completed therapy dog training and is now a certified therapy dog. The best way to ensure that you are improving the breed is to only breed quality animals to other quality animals with the intent to minimize faults and strengthen good qualities. Sam has been fully health tested CHIC # 79130. Sam has also been tested for Bile Acid-liver and Thyroid with normal results. 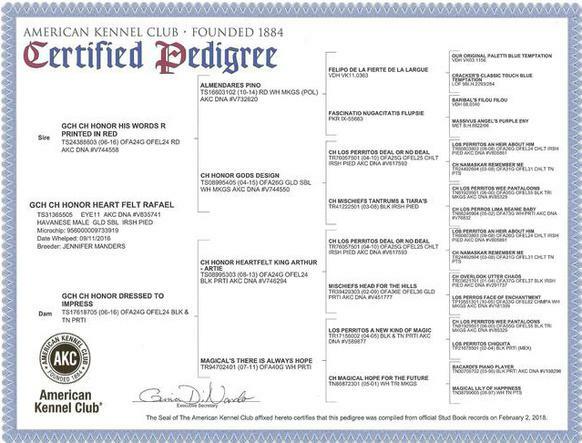 His DNA is on file with AKC. 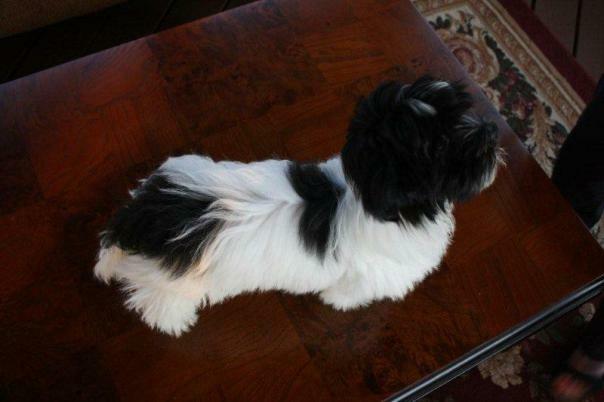 Sam was born with a little heart on his back just to prove he was part of our Heartfelt family. Sam loves to cuddle as much as he likes to play. He is always curled up at our feet when we are sitting. 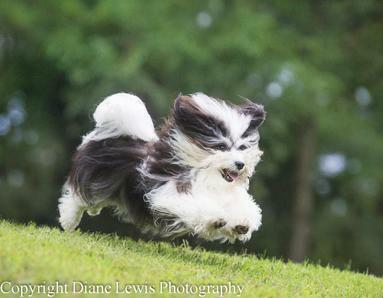 Sam loves to play with our other Havanese and runs like the wind. Suede came to us from Jennifer Manders. 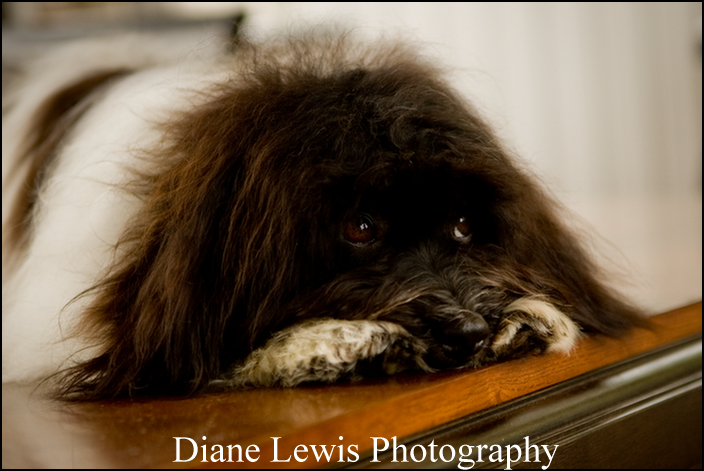 Who thought so much of him, she held him back as a puppy, from one of her own litters, because she knew he would make a wonderful show dog. He definitely proved her right by receiving his championship quickly. Everyone on the show circuit asked where he came from because he was so beautiful. 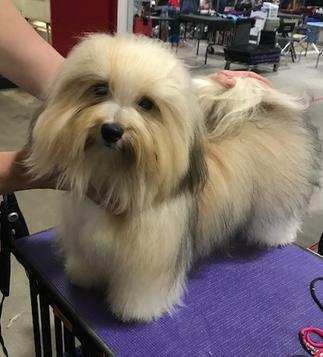 We are grateful Jennifer letting him become a part of the Heartfelt Havanese family. Suede has a fun loving dog that makes him a great part of our family and a wonderful proven stud dog as well. Suede completed his championship in style with a final Major win in August 2014. 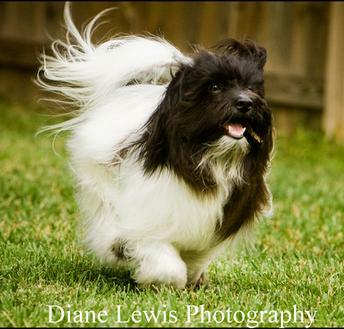 His beautiful coat and dazzling personality are sure to impress all who meet him. Suede has been fully health tested and passed with flying colors. Sam is also involved in raising his pups until they go to their forever home. He is such a good Dad. We were blessed to have Rafi join our family when he was just 9 weeks old. What a bundle of joy! 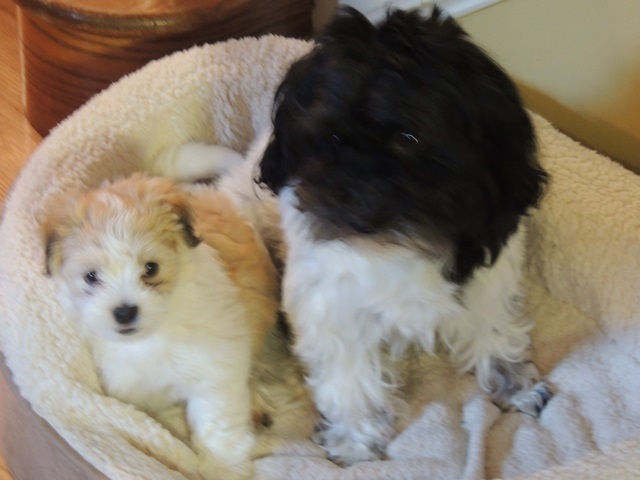 He is such a wonderful addition who has a sweet very playful Havanese personality. He loves everyone he meets. He has beautiful red and white coloring with perfect markings. Rafi did it! 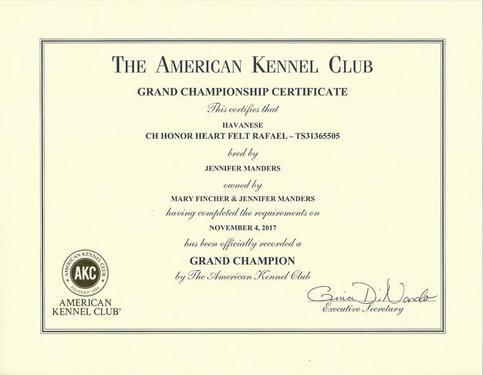 He is now a Grand Champion and we couldn't be more proud of him. Love this sweet boy. Rafi has passed his health test and once he has finished all his testing he will be ready to become a dad. He will also be available for stud service to approved females. Be sure to look for updates on our Facebook page: link found on top of this page. Please contact us for more information on our stud services. 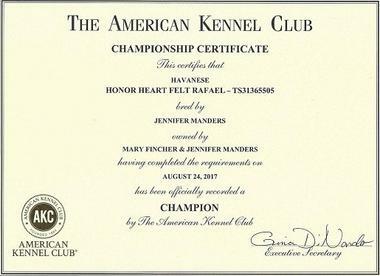 GCH CH Honor Heartfelt Rafael - "Rafi"
Rafi has a wonderful pedigree with both parents having achieved their Grand Championship. 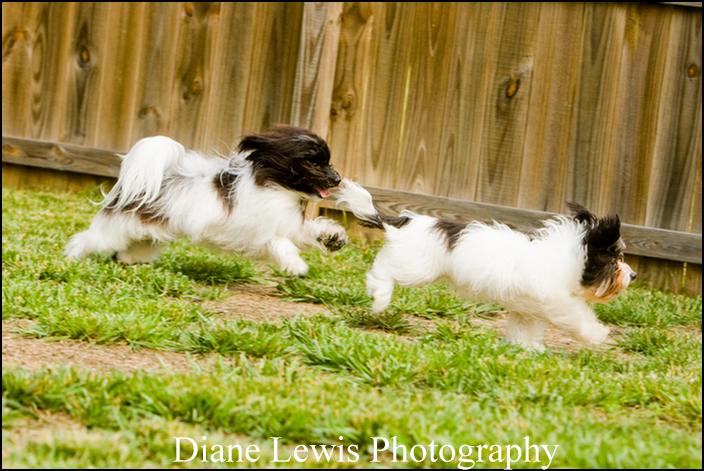 We have used his dad in our breeding program and he and Peachy have produced beautiful puppies. We feel Rafi will follow in his dad's footsteps. Site Map @2019 Heartfelt Havanese. All rights reserved.